South Jersey welterweight boxer Thomas “Cornflake” LaManna, 23-2, 9 KOs, approaches his next fight, a self-promoted, ten round bout with George Sosa, 15-9, 15 KOs, on Saturday night, for the WBC Silver Latino welterweight title, at the Claridge Hotel in Atlantic City, with a new testy attitude and a clearer view of his career. Usually happy-go-lucky, even as a fight nears, the Cornflake 2.0 that is prepping for Sosa is an edgier, angrier, and slightly disillusioned, all new Thomas LaManna. Perhaps this fighter, who’s always felt like every boxing fan’s little brother, has completely grown up. “In boxing, it’s not what you know, it’s who you know, and it’s all about politics,” LaManna said. At 25, LaManna is no longer a gangly newbie. He’s more mature – physically and emotionally – and has been around the block a few times professionally. He loves being a fighter, but the experience has left him frustrated. He isn’t happy about where he finds the current level of his career, and spends considerable time thinking about where he should be professionally. LaManna feels that he’s approaching his prime. LaManna has twice stepped up to the next level, and fell short both times. He was stopped by Antoine Douglas in 2015, and then last year, dropped an exciting and competitive decision to Dusty Hernandez Harrison. LaManna feels that wearing all those hats hurt his focus and that the many distractions affected how he performed in the ring – especially in his USBA title fight with Harrison. It’s a dynamic that wants to see change. That chip has changed LaManna. He even envisions a time, perhaps not so far in the future, when being a boxer might be in his past. An intelligent young man, LaManna sees other options for his life, and seriously considers grabbing them. He recently took the civil service test, grooming one of those possible career options outside the ring. However, LaManna is a fighter at heart, and isn’t ready to let go of the dream of becoming a champion. 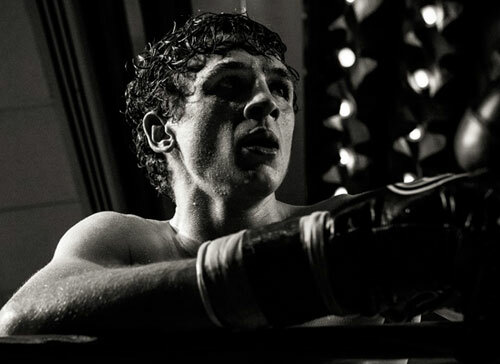 He sees winning a regional belt on Saturday night as validation – and fuel - for his boxing goals. So on Saturday night, LaManna will step into the ring again. He’ll take on an opponent who has scored knockouts in all of his pro victories. He’ll vie for a regional title belt that might cut a path to bigger fights, a world ranking, and maybe even a shot at a world title. However, LaManna knows that, in boxing, nothing is promised, and most of the time, it never even comes close to the dream. He sees this now and is doing his best to process this ugly dose of reality. But fighters fight, and on Saturday night, LaManna will fight. He’ll do what he can to keep his career on track and his dream alive. No promises. No guarantees.